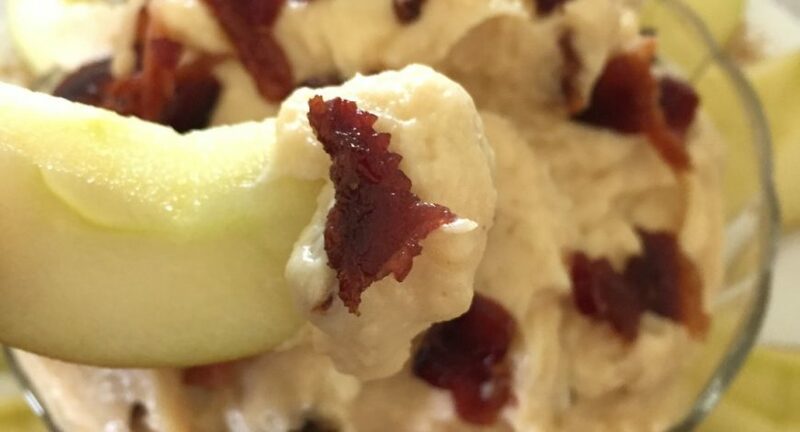 For this week’s Recipe of the Week, employee Alex tried out Maple Bacon Dip from Darlene over at Dip Recipe Creations. If you want to give it a try, head on over to her website for the recipe. Give us your take in the comments below. How did it go for you? 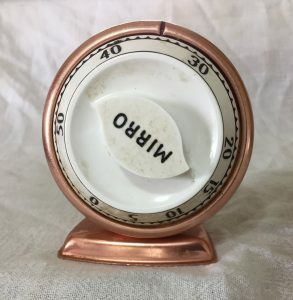 What did you change? Will you be adding this one to your repertoire? What other recipes should we try? If you are enjoying this series, follow us on Facebook, Pinterest, or Instagram to stay tuned in for the next installment of Recipe of the Week! Hello again maple lovers! I’m back to try my luck at another recipe featuring maple syrup! Two weeks ago, I tried Maple Cinnamon Overnight Oats and they were delicious! If you missed out on that one, you can find it here. Some of you tried them at home, and I think we all agreed that that recipe was a keeper. 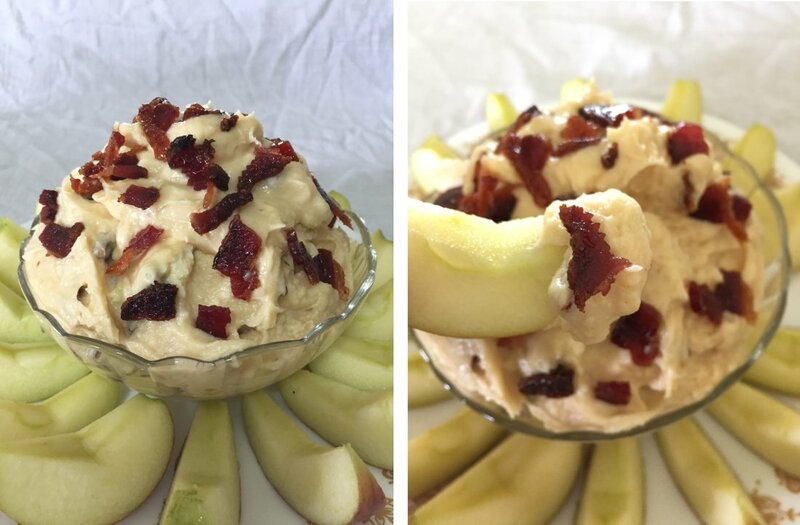 This week, I decided to try something a little different, and entirely sinful: Maple Bacon Dip. 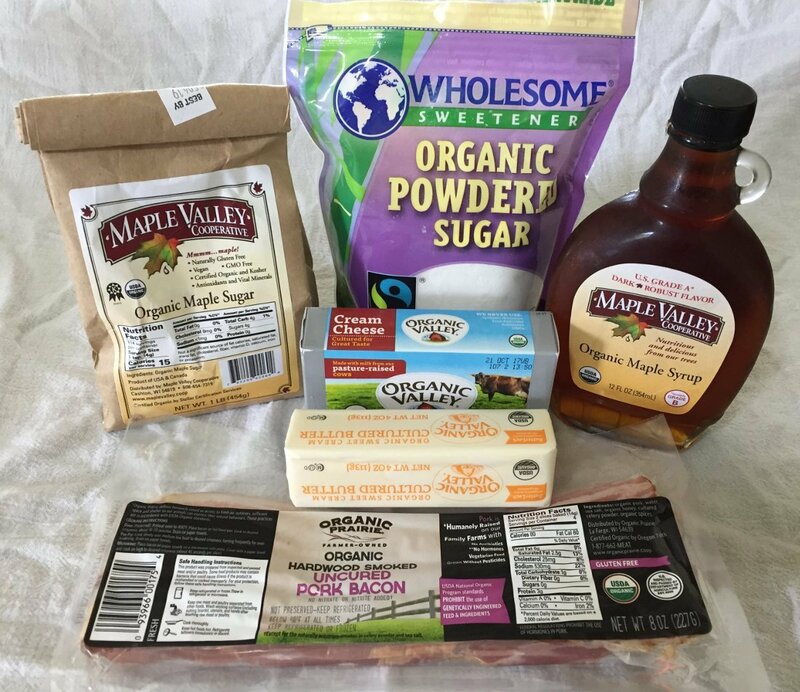 As you are probably aware, bacon is widely recognized as one of the most popular foods around, but have you ever tried combining it with maple? Let me tell you, it’s a match made in heaven! I did make a small modification to Darlene’s original recipe because I wanted a little more maple in there. Wherever it called for brown sugar, I used maple sugar instead. Anyway, enough rambling, here’s how it went! As I already mentioned, I stayed pretty close to the original recipe on this one. I like to choose organic and local ingredients wherever possible. 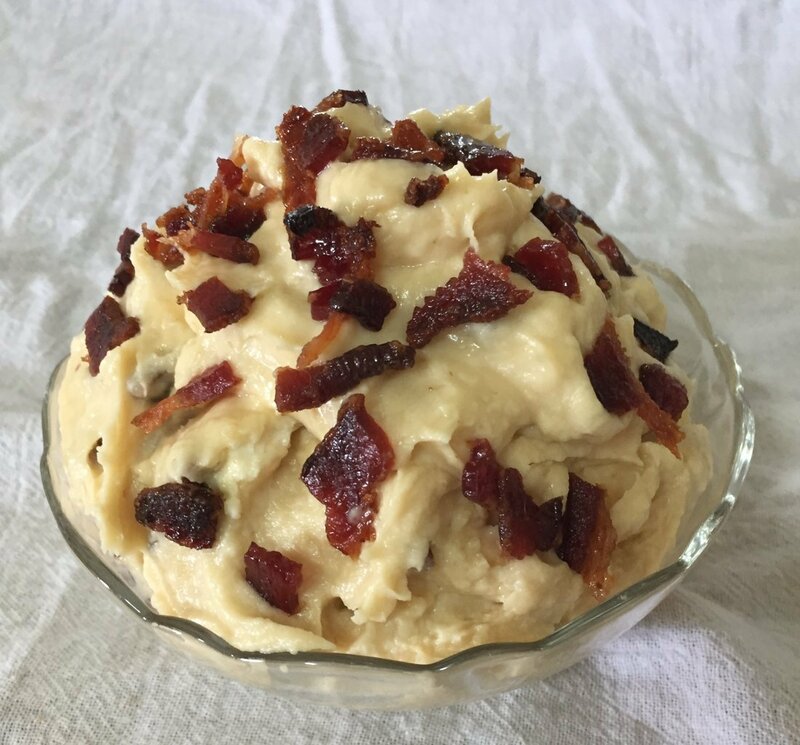 I used Wholesome brand organic powdered sugar and Organic Valley brand cream cheese, cultured butter, & hardwood smoked uncured pork bacon for this recipe. Of course, I also used Maple Valley’s organic maple syrup & maple sugar. Before I could dive into food prep, I had to focus on oven prep first. 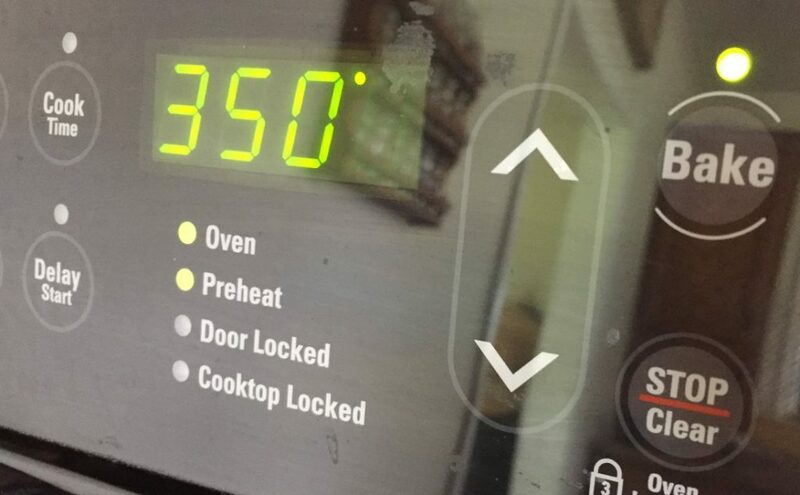 I set the oven to preheat at 350 degrees. I also had to prep the pan. 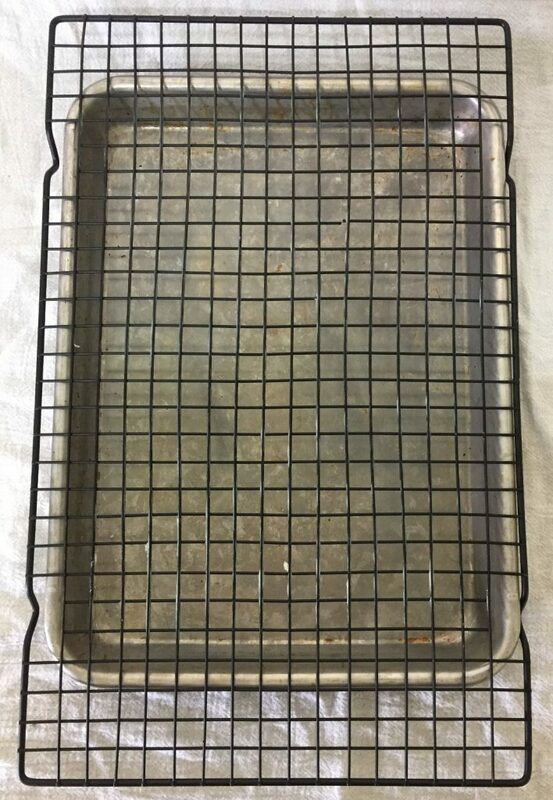 The recipe calls for a cookie sheet covered in tin foil under a cooling rack that has been sprayed with non-stick spray. I don’t have tin foil. I also don’t have non-stick spray. Instead, I put a plain cookie sheet under my cooling rack and smeared butter all over it. It seemed to work okay, but I would definitely recommend using tin foil if you have it to simplify clean up. It was finally time for America’s Sweetheart to make an appearance. Bacon. The recipe calls for thick cut bacon and Organic Valley’s bacon is perfect for this. 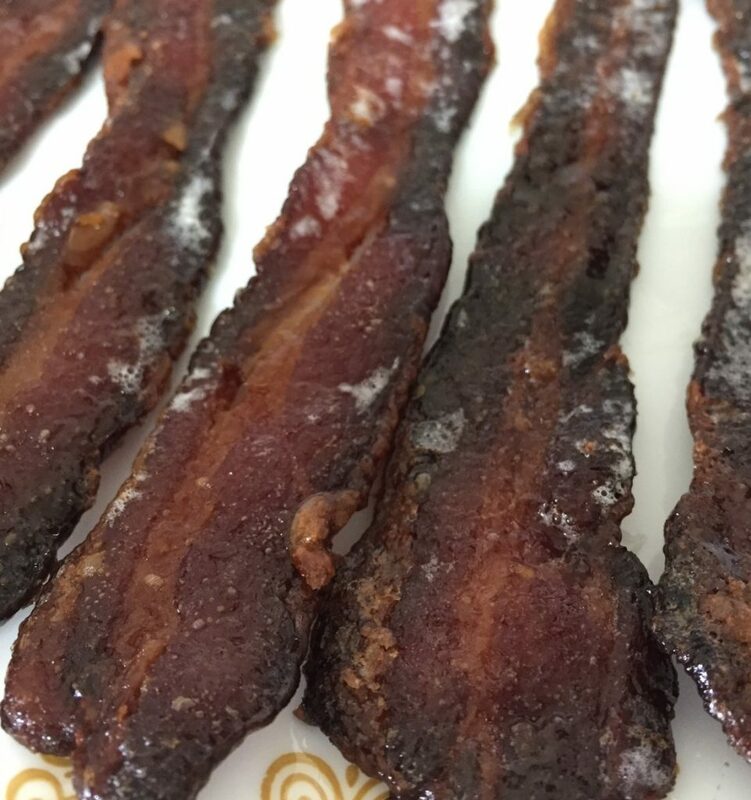 I placed the bacon on the cooling rack and prepared the glaze. I mixed one Tbsp of maple syrup with 2 Tbsp of maple sugar and heated it over the stove until it was smooth. It was very similar to the maple mix I made for the overnight oats, but warming it made it more workable. The smell of the warm syrup and sugar was so wonderful. I had to taste it. If you like maple, this could be your next vice. Oh man, it was good. As the recipe instructed, I brushed the mixture across the top side of the bacon. It didn’t specify if I should do both sides. But, I had extra glaze, so I flipped the bacon and painted it on both sides. From there it was in to the oven with my maple glazed bacon. 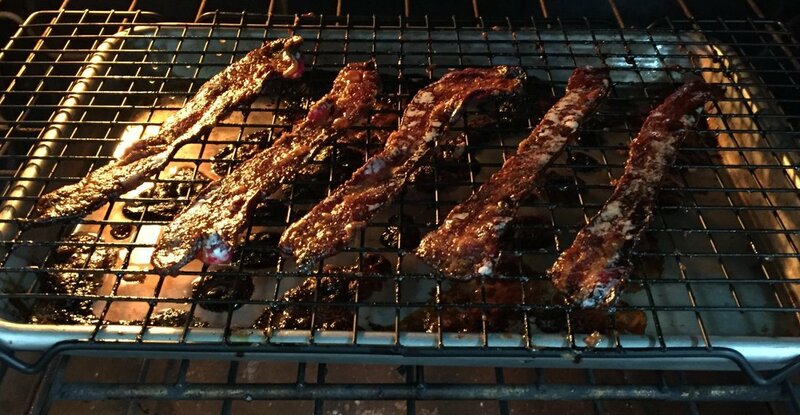 I set the timer for 35 min as the recipe instructed and waited for the delicious smell of candied bacon to waft through the house. While the bacon cooked, I worked on putting together the dip. 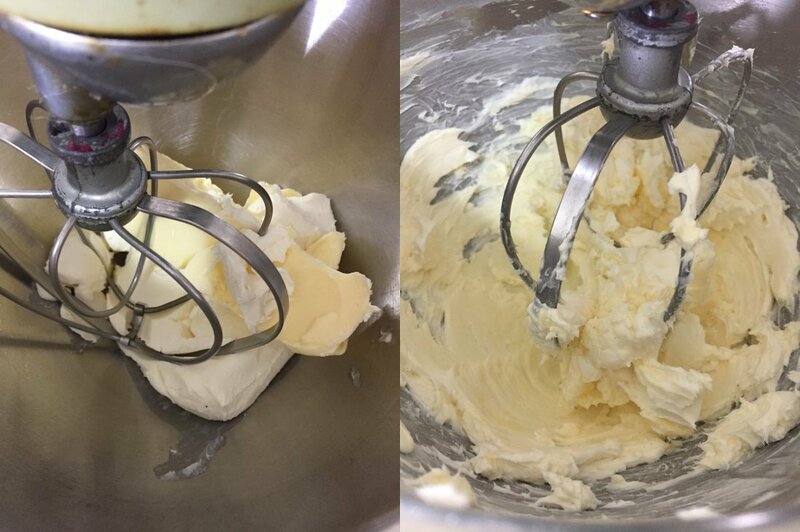 The recipe called for 8 oz of cream cheese and a whole stick of butter! Don’t worry, I won’t eat all of this by myself. I let these sit on the counter for a little while before mixing so it would be easier. It didn’t specify if I should mix it by hand or mixer so I decided to use my mixer on the lowest setting. Once it seemed well mixed and creamy I added in 1/4 cup of maple sugar and 3/4 cup of powdered sugar and mixed it all together. I paused partway through to add the 4 Tbsp of maple syrup. The bacon was not quite done at this point so I took a few minutes for clean up while I waited. I crumbled 4 of the 5 pieces by hand. It was pretty easy to do as the bacon was nice and crunchy at this point. I tasted a little bit and it reminded me of teriyaki or maybe bacon jerky. It was sweet, and salty, and so good. I added it to the dip and folded it in. 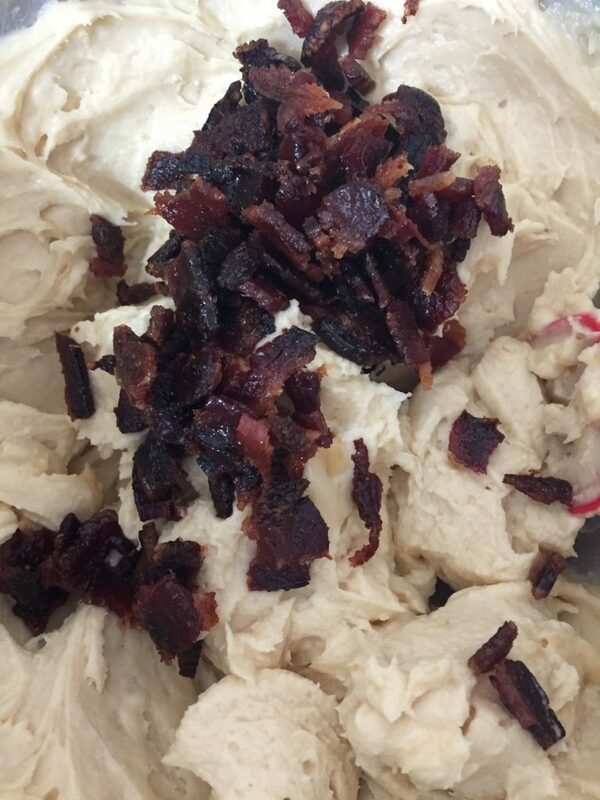 When it was all mixed together, I moved it to a bowl and crumbled the last piece of bacon on top. 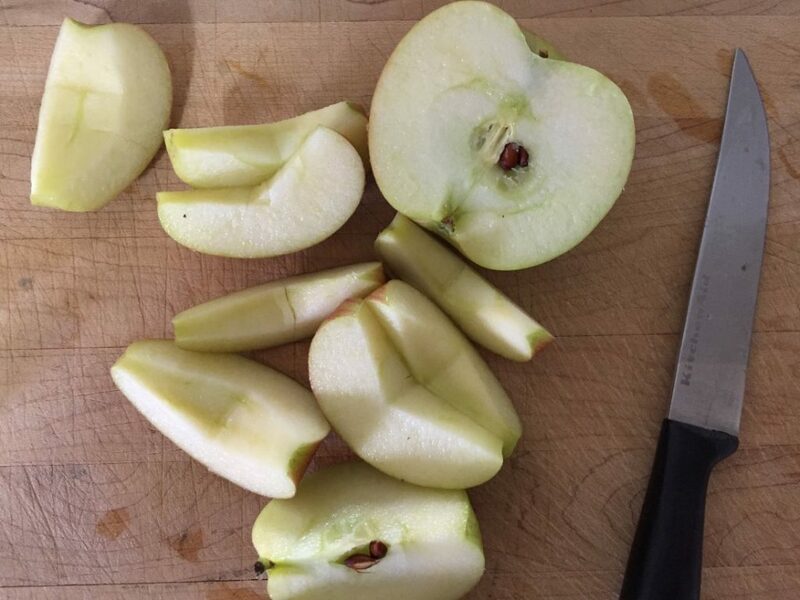 The recipe suggests a few different things you could serve this with, but I decided to go with apples. I had to add something healthy to make myself feel better about eating this. It was ready to serve! There were only two of us there to try it fresh. It was so good. So good. It tasted like caramel apples mixed with cheesecake mixed with bacon. All of the best things combined. 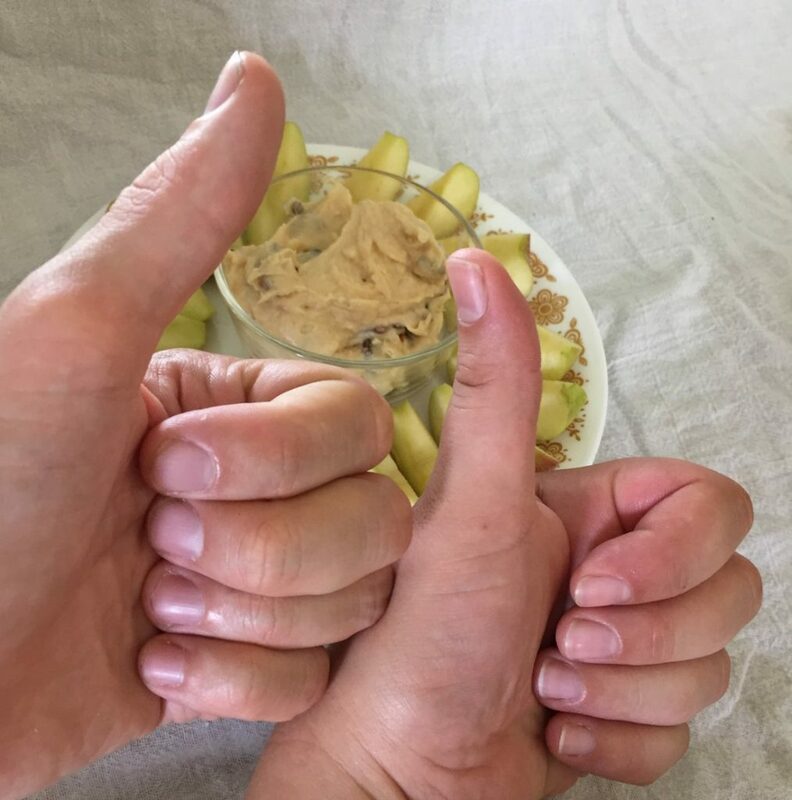 It got a thumbs up from us both. I brought it in to the office for everyone to try the next day. I served it with apples again still cold from the fridge. Everyone still loved it, but I have to say it was only half as good. If you decide to make this at home, I would highly recommend serving it at room temperature, even better if you can serve it fresh. Overall I would say this one was a keeper. This recipe was made for sharing and would be perfect for the occasional pot-luck or party dish. Everyone will love it and it is easy to make.